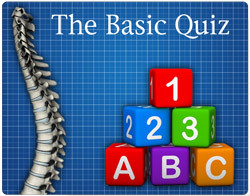 What is the main difference between traditional medicine and chiropractic? Chiropractors focus on nervous system function while medical doctors focus on the circulatory system which delivers drugs that influence conditions in the body. How long does it take for degeneration to set in in the spine? It can take as little as one year for degenerative changes to be seen on an X-ray. Accidents and injuries can significantly affect the body and lead to serious and often painful problems down the road. Why don't chiropractors use drugs to treat patients? Drugs are universally safe and proven. They should use them. 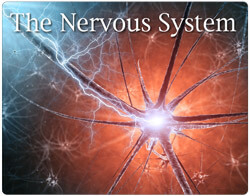 The philosophy of chiropractic revolves around the central truth that the nervous system controls healing. Remove all interference so the nervous system can do its job! 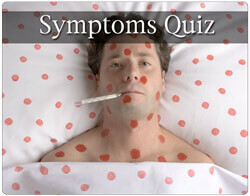 How does your body get sick? Your body's immune system, which is operated by the nervous system, provides resistance. There are many things that lower the resistance of the body and a few of them are: Poor diet, lack of sleep, stress, and a poorly functioning nervous system. These are only a few ways to lower resistance. They can act singly or in concert to chip away the ability of the body to fight of an invasion. Sometimes, the body becomes hyperactive and has an immune response that goes well beyond normal requirements. This leads to a host of problems like allergies. Pollen, spores, pet dander/saliva are all "foreign proteins" and should be recognized by the body as such. It is when the response is hyperactive that problems arise. This overreaction is linked to improper nervous system function causes by subluxations. 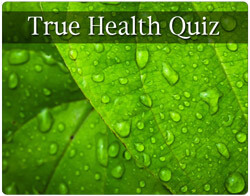 What are autoimmune diseases caused by? Autoimmune dysfunction is triggered by allergic reactions based upon failed intestinal integrity. Again all function in this area is based upon the nervous system so subluxation play a role in this dysfunction. This in turn leads hypersensitivity of the immune system which triggers the body to attack its own cells. Hypokinetic diseases like obesity, high blood pressure, and type II diabetes are all influenced by poor diet, too many extra calories, and not enough daily exercise. These diseases are insidious taking decades to develop, and destroy quality of life. For many people, accidents and injuries cause changes in bone alignment (subluxations) which in turn leads to pain. Left untreated degeneration occurs. How can you exercise if you are in pain or the bones are degenerated?!?! How does chiropractic help with illness, allergies, autoimmune dysfunction, and hypokinetic disease? If you learned nothing else, it is your nervous system that controls healing and health. It must function at an optimum level to maintain all of the complicated systems in the body. Too much function or too little function can lead to dis-ease and eventually disease processes. 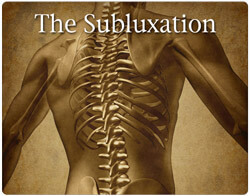 Only chiropractors are trained to detect and eliminate subluxation that interferes with proper nervous system function!